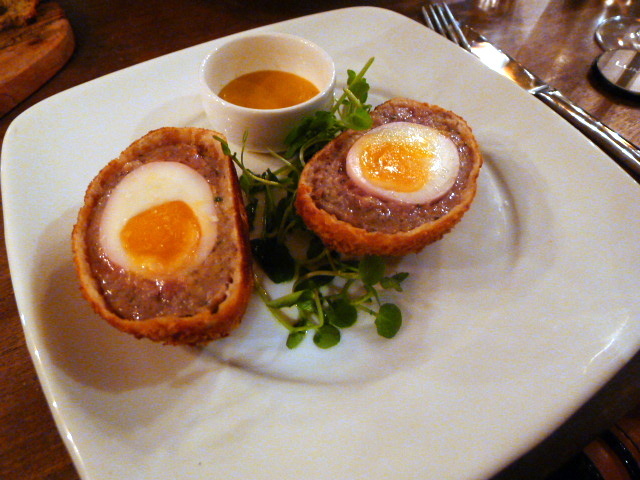 A wild boar Scotch egg with mustard (£5.95) was really tasty and nicely done. The egg was cooked just right, and boar meat was packed with flavour. The coating was crispy and the mustard was a nice touch. 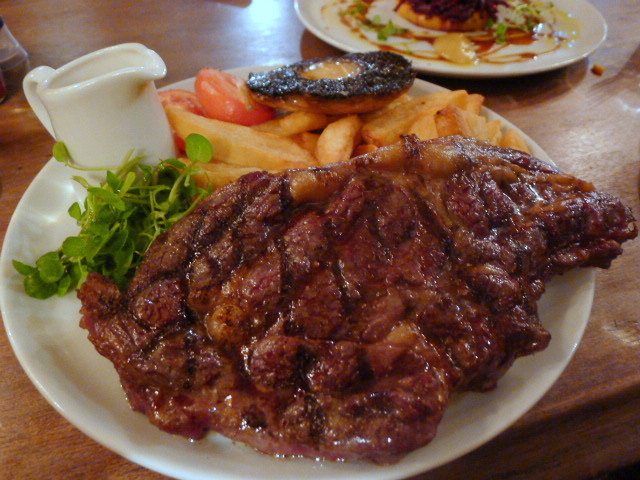 From the mains, a 21-day aged Cote de Boeuf (£19.50) proved to be a massive piece of meat. But it was riddled with fat, was slightly chewy and needed more seasoning and browning for a more intense flavour. The side of beef dripping chips was decent. 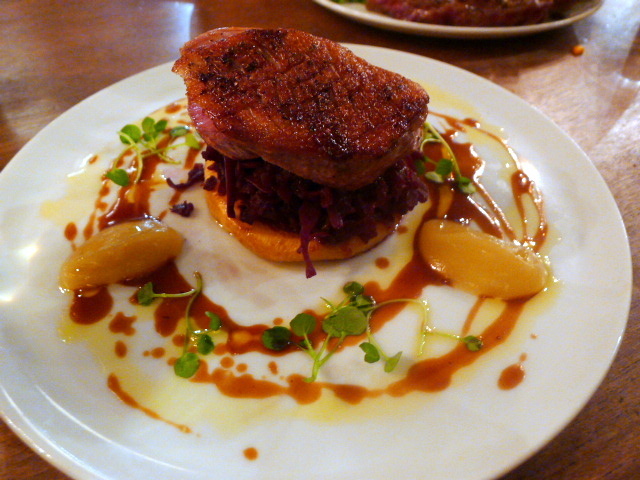 Pan roasted duck breast (£12.50) was nicely cooked and remained pink and was tender enough. A swede fondant was scrumptious, some braised red cabbage was soft and nicely spiced, and an apple sauce worked well with the duck. A chocolate, caramel and peanut cheesecake (£5.95) was decadent and creamy. You couldn’t really taste the chocolate as the dominant flavour was the peanut, not only from peanut in the cheesecake but also the accompanying peanut ice cream. 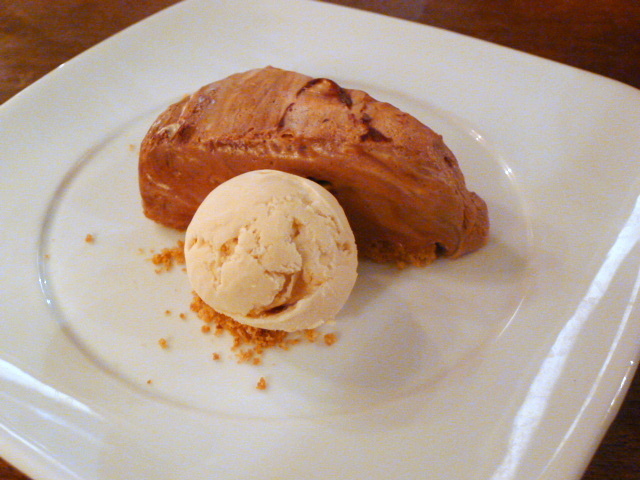 Nevertheless the dessert worked well even if it was a touch sweet and quite rich. 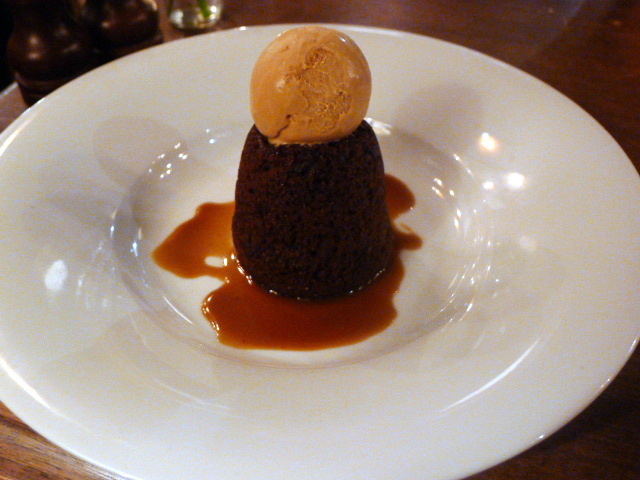 A sticky toffee and ginger pudding with vanilla ice cream (£5.95) was less successful however. The pudding was very, very dry, and there was not enough toffee sauce on the plate to hide the dryness. The food at Marquess Tavern was ok, but the experience was helped by the fact that the prices were reasonable and the service was friendly. The standard of the food wasn’t quite gastropub of the year quality, but it’s a cozy little place to have a drink. 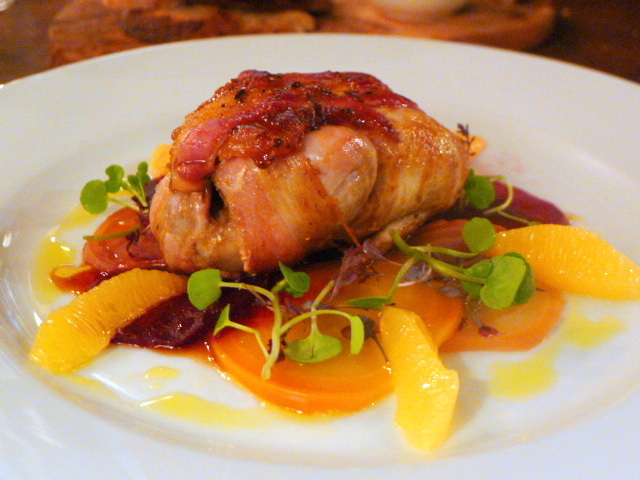 3 courses – from £19 to £33, excludes drinks and service.